Forbes (/fɔːrbz/) is an American business magazine. Published bi-weekly, it features original articles on finance, industry, investing, and marketing topics. Forbes also reports on related subjects such as technology, communications, science, politics, and law. Its headquarters is located in Jersey City, New Jersey. Primary competitors in the national business magazine category include Fortune and Bloomberg Businessweek. The magazine is well known for its lists and rankings, including of the richest Americans (the Forbes 400), of the world's top companies (the Forbes Global 2000), and The World's Billionaires. The motto of Forbes magazine is "The Capitalist Tool". Its chair and editor-in-chief is Steve Forbes, and its CEO is Mike Federle. It was sold to a Hong Kong-based investment group, Integrated Whale Media Investments. B. C. Forbes, a financial columnist for the Hearst papers, and his partner Walter Drey, the general manager of the Magazine of Wall Street, founded Forbes magazine on September 15, 1917. Forbes provided the money and the name and Drey provided the publishing expertise. The original name of the magazine was Forbes: Devoted to Doers and Doings. Drey became vice-president of the B.C. Forbes Publishing Company, while B.C. Forbes became editor-in-chief, a post he held until his death in 1954. B.C. Forbes was assisted in his later years by his two eldest sons, Bruce Charles Forbes (1916–1964) and Malcolm Stevenson Forbes (1917–1990). Bruce Forbes took over on his father's death, and his strengths lay in streamlining operations and developing marketing. During his tenure, 1954–1964, the magazine's circulation nearly doubled. On Bruce's death, his brother Malcolm Stevenson "Steve" Forbes Jr. (born 1919) became President and Chief executive of Forbes and Editor-in-Chief of Forbes magazine. Between 1961 and 1999 the magazine was edited by James Michaels. In 1993, under Michaels, Forbes was a finalist for the National Magazine Award. In 2006, an investment group Elevation Partners that includes rock star Bono bought a minority interest in the company with a reorganization, through a new company, Forbes Media LLC, in which Forbes Magazine and Forbes.com, along with other media properties, is now a part. A 2009 New York Times report said: "40 percent of the enterprise was sold ... for a reported $300 million, setting the value of the enterprise at $750 million". Three years later, Mark M. Edmiston of AdMedia Partners observed, "It's probably not worth half of that now". It was later revealed that the price had been US$264 million. In January 2010, Forbes reached an agreement to sell its headquarters building Fifth Avenue in Manhattan to New York University; terms of the deal were not publicly reported, but Forbes would continue to occupy the space under a sale-leaseback arrangement. The company's headquarters subsequently moved to the Newport section of downtown Jersey City, New Jersey, in 2014. In November 2013, Forbes Media, which publishes Forbes magazine, was put up for sale. This was encouraged by minority shareholders Elevation Partners. Sale documents prepared by Deutsche Bank revealed that the publisher's 2012 EBITDA was US$15 million. 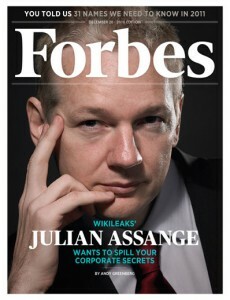 Forbes reportedly sought a price of US$400 million. In July 2014, the Forbes family bought out Elevation and then sold a 51 per cent majority of the company to Integrated Whale Media Investments. Apart from Forbes and its lifestyle supplement, Forbes Life, other titles include Forbes Asia and fifteen local language editions. Steve Forbes and his magazine's writers offer investment advice on the weekly Fox TV show Forbes on Fox and on Forbes on Radio. Other company groups include Forbes Conference Group, Forbes Investment Advisory Group and Forbes Custom Media. From the 2009 Times report: "Steve Forbes recently returned from opening up a Forbes magazine in India, bringing the number of foreign editions to 10." In addition, that year the company began publishing ForbesWoman, a quarterly magazine published by Steve Forbes's daughter, Moira Forbes, with a companion Web site. The company formerly published American Legacy magazine as a joint venture, although that magazine separated from Forbes on May 14, 2007. The company also formerly published American Heritage and Invention & Technology magazines. After failing to find a buyer, Forbes suspended publication of these two magazines as of May 17, 2007. Both magazines were purchased by the American Heritage Publishing Company and resumed publication as of the spring of 2008. On January 6, 2014, Forbes magazine announced that, in partnership with app creator Maz, it was launching a social networking app called "Stream". Stream allows Forbes readers to save and share visual content with other readers and discover content from Forbes magazine and Forbes.com within the app. Forbes.com is part of Forbes Digital, a division of Forbes Media LLC. Forbes's holdings include a portion of RealClearPolitics. Together these sites reach more than 27 million unique visitors each month. Forbes.com employs the slogan "Home Page for the World's Business Leaders" and claimed, in 2006, to be the world's most widely visited business web site. The 2009 Times report said that, while "one of the top five financial sites by traffic [throwing] off an estimated $70 million to $80 million a year in revenue, [it] never yielded the hoped-for public offering". Forbes.com uses a "contributor model" in which a wide network of "contributors" writes and publishes articles directly on the website. Contributors are paid based on traffic to their respective Forbes.com pages; the site has received contributions from over 2,500 individuals, and some contributors have earned over US$100,000, according to the company. Forbes currently allows advertisers to publish blog posts on its website alongside regular editorial content through a program called BrandVoice, which accounts for more than 10 percent of its digital revenue. Forbes.com also publishes subscription investment newsletters, and an online guide to web sites, Best of the Web. In July, 2018 Forbes deleted an article by a contributor who argued that libraries should be closed, and Amazon should open bookstores in their place. David Churbuck founded Forbes's web site in 1996. The site uncovered Stephen Glass's journalistic fraud in The New Republic in 1998, an article that drew attention to internet journalism. At the peak of media coverage of alleged Toyota sudden unintended acceleration in 2010, it exposed the California "runaway Prius" as a hoax, as well as running five other articles by Michael Fumento challenging the entire media premise of Toyota's cars gone bad. The site, like the magazine, publishes many lists focusing on billionaires and their possessions, especially expensive homes, a critical aspect of the website's popularity. Currently, the website also blocks internet users using ad blocking software (such as Adblock Plus) from accessing articles, demanding that the website be put on the ad blocking software's whitelist before access is granted. Forbes argues that this is done because customers using ad blocking software do not contribute to the site's revenue. Malware attacks have been noted to occur from Forbes site. ^ Romenesko, Jim (August 9, 2011). "Randall Lane returns to Forbes as editor". Poynter.org. Archived from the original on February 22, 2014. ^ Silva, Emma (November 30, 2017). "Mike Federle Succeeds Mike Perlis As CEO Of Forbes". Folio:. ^ a b "Forbes Media Agrees To Sell Majority Stake to a Group of International Investors To Accelerate The Company's Global Growth". July 18, 2014. Retrieved July 24, 2015. ^ a b "Forbes Sells to Hong Kong Investment Group". Retrieved August 27, 2018. ^ a b Praneeth (July 6, 2007). "Notes of a Business Quizzer: Forbes". Retrieved August 27, 2018. ^ "Media Kit 2013" (PDF). Forbes Middle East. Archived from the original (PDF) on November 5, 2014. Retrieved September 18, 2014. ^ a b 'Forbes Announce Elevation Partners Investment in Family Held Company' Elevation Partners press release, August 6, 2006. ^ Pérez-Peña, Richard (October 4, 2007). "James Michaels, Longtime Forbes Editor, Dies at 86". The New York Times. Retrieved January 5, 2008. ^ "National Magazine Awards Database". Retrieved January 5, 2008. ^ "NussbaumOnDesign Bono Buys into Forbes, Launches Product Red in US and Expands His Brand. – BusinessWeek". Retrieved January 5, 2008. ^ a b c "Even Forbes is Pinching Pennies" by David Carr, The New York Times, June 14, 2009 (June 15, 2009 on p. B1 of the NY ed.). Retrieved June 15, 2009. ^ a b Trachtenberg, Jeffrey A (July 19, 2014). "Forbes sold to Asian investors". MarketWatch. Market Watch, Inc. Retrieved June 18, 2017. ^ Forbes Sells Building to N.Y.U.. New York Times Media Decoder. Retrieved on January 7, 2010. ^ Mike Schneider (December 18, 2014). "Forbes Moves Across the Hudson to Jersey City". WNET – NJTV. Retrieved June 14, 2015. ^ "Forbes moving into Jersey City offices on Monday, report says". The Jersey Journal. December 12, 2014. Retrieved June 14, 2015. ^ CHRISTINE HAUGHNEY and DAVID GELLES (November 15, 2013). "Forbes Says It Is for Sale". New York Times. Retrieved November 25, 2013. ^ a b "The Newsonomics of Forbes' real performance and price potential". Ken Doctor. Retrieved February 10, 2014. ^ "With The May 14 Announced Separation: Twelve-Year-Old "American Legacy"/"Forbes" Partnership Was Mutually Beneficial". Archived from the original on September 3, 2014. Retrieved September 1, 2014. ^ Charles McGrath (May 17, 2007). "Magazine Suspends Its Run in History". The New York Times. ^ "Thank You for Your Feedback on the American Heritage Winter 2008 Issue". Archived from the original on December 30, 2010. ^ "Forbes is the first magazine to launch its own social network site". Forbes. January 6, 2014. ^ Edmonston, Peter (August 28, 2006). "At Forbes.com, Lots of Glitter but Maybe Not So Many Visitors". New York Times. Retrieved May 2, 2011. ^ a b Bartlett, Rachel. "The Forbes contributor model: Technology, feedback and incentives". journalism.co.uk. Retrieved October 13, 2013. ^ "Forbes gives advertisers an editorial voice". emedia. Archived from the original on November 9, 2013. ^ Cale Weissman (July 23, 2018). "Forbes deleted its controversial article about Amazon replacing libraries". Fast Company. ^ "Jobs: Motley to Leave Time Inc., Plus More Job-Hopping Fun". Archived from the original on February 18, 2008. Retrieved January 5, 2008. ^ Jason, Bloomberg L.P. "Ad Blocking Battle Drives Disruptive Innovation". Forbes. Retrieved April 14, 2017. ^ Hruska, Joel. "Forbes forces readers to turn off ad blockers, promptly serves malware". Extreme Tech. Retrieved April 14, 2017. Pinkerson, Stewart (2011). The Fall of the House of Forbes: The Inside Story of the Collapse of a Media Empire. New York City: St. Martin's Press. ISBN 0312658591. A billionaire, in countries that use the short scale number naming system, is a person with a net worth of at least one billion (1,000,000,000, i.e. a thousand million) units of a given currency, usually major currencies such as the United States dollar, the euro or the pound sterling. Additionally, a centibillionaire (or centi-billionaire) has been deemed applicable to a billionaire worth one hundred billion dollars (100,000,000,000), a mark first achieved in 2017 by Amazon founder Jeff Bezos, with a net worth of $112 billion in a report issued in early 2018. The American business magazine Forbes produces a global list of known U.S. dollar billionaires every year and updates an Internet version of this list in real time. The American oil magnate John D. Rockefeller became the world's first confirmed U.S. dollar billionaire in 1916, and still holds the title of history's wealthiest individual.As of 2018, there are over 2,200 U.S. dollar billionaires worldwide, with a combined wealth of over US$9.1 trillion, up from US$7.67 trillion in 2017. According to a 2017 Oxfam report, the top eight richest billionaires own as much combined wealth as "half the human race". This is a list of the richest association football clubs in the world as ranked by Forbes magazine on their worth in U.S. dollars. The Forbes 400 or 400 Richest Americans is a list published by Forbes magazine of the wealthiest 400 American residents, ranked by net worth. The 400 was started by Malcolm Forbes in 1982 and the list is published annually around September. Peter W. Bernstein and Annalyn Swan describe the Forbes 400 as capturing "a period of extraordinary individual and entrepreneurial energy, a time unlike the extended postwar years, from 1945 to 1982, when American society emphasized the power of corporations." Bernstein and Swan also describe it as representing "a powerful argument – and sometimes a dream – about the social value of wealth in contemporary America. "Inherited wealth may help explain why many Americans who have become rich may have had a "substantial head start". In September 2012, according to the Institute for Policy Studies, "over 60 percent" of the Forbes richest 400 Americans "grew up in substantial privilege". The list of members of the Forbes 400 is updated annually, usually in September. Forbes Field was a baseball park in the Oakland neighborhood of Pittsburgh, Pennsylvania, from 1909 to June 28, 1970. It was the third home of the Pittsburgh Pirates Major League Baseball (MLB) team, and the first home of the Pittsburgh Steelers, the city's National Football League (NFL) franchise. The stadium also served as the home football field for the University of Pittsburgh "Pitt" Panthers from 1909 to 1924. The stadium was named after British general John Forbes, who fought in the French and Indian War, and named the city in 1758. The US$1 million ($27.9 million today) project was initiated by Pittsburgh Pirates' owner Barney Dreyfuss, with the goal of replacing his franchise's then-current home, Exposition Park. The stadium was made of concrete and steel (one of the first of its kind) in order to increase its lifespan. The Pirates opened Forbes Field on June 30, 1909, against the Chicago Cubs, and played the final game against the Cubs on June 28, 1970. The field itself featured a large playing surface, with the batting cage placed in the deepest part of center field during games. Seating was altered multiple times throughout the stadium's life; at times fans were permitted to sit on the grass in the outfield during overflow crowds. The Pirates won three World Series while at Forbes Field and the other original tenant, the Pittsburgh Panthers football team had five undefeated seasons before moving in 1924. Some remnants of the ballpark still stand, surrounded by the campus of the University of Pittsburgh. Fans gather on the site annually on the anniversary of Bill Mazeroski's World Series winning home run, in what author Jim O'Brien writes is "one of the most unique expressions of a love of the game to be found in a major league city". The Forbes list of Indian billionaires is based on an annual assessment of wealth and assets compiled and published by Forbes magazine in 2018. Gisele Caroline Bündchen (, Portuguese: [ʒiˈzɛli ˈbĩtʃẽj], German: [ɡiˈzɛl ˈbʏntçn̩]; born 20 July 1980) is a Brazilian model and actress. Since 2004, Bündchen has been among the highest-paid models in the world, and as of 2007 was the 16th richest woman in the entertainment industry. In 2012, she placed first on the Forbes top-earning models list. In 2014, she was listed as the 89th Most Powerful Woman in the World by Forbes. A glacier (US: or UK: ) is a persistent body of dense ice that is constantly moving under its own weight; it forms where the accumulation of snow exceeds its ablation (melting and sublimation) over many years, often centuries. Glaciers slowly deform and flow due to stresses induced by their weight, creating crevasses, seracs, and other distinguishing features. They also abrade rock and debris from their substrate to create landforms such as cirques and moraines. Glaciers form only on land and are distinct from the much thinner sea ice and lake ice that form on the surface of bodies of water. On Earth, 99% of glacial ice is contained within vast ice sheets (also known as "continental glaciers") in the polar regions, but glaciers may be found in mountain ranges on every continent including Oceania's high-latitude oceanic island countries such as New Zealand and Papua New Guinea. Between 35°N and 35°S, glaciers occur only in the Himalayas, Andes, Rocky Mountains, a few high mountains in East Africa, Mexico, New Guinea and on Zard Kuh in Iran. Glaciers cover about 10 percent of Earth's land surface. Continental glaciers cover nearly 13 million km2 (5 million sq mi) or about 98 percent of Antarctica's 13.2 million km2 (5.1 million sq mi), with an average thickness of 2,100 m (7,000 ft). Greenland and Patagonia also have huge expanses of continental glaciers.Glacial ice is the largest reservoir of fresh water on Earth. Many glaciers from temperate, alpine and seasonal polar climates store water as ice during the colder seasons and release it later in the form of meltwater as warmer summer temperatures cause the glacier to melt, creating a water source that is especially important for plants, animals and human uses when other sources may be scant. Within high-altitude and Antarctic environments, the seasonal temperature difference is often not sufficient to release meltwater. Since glacial mass is affected by long-term climatic changes, e.g., precipitation, mean temperature, and cloud cover, glacial mass changes are considered among the most sensitive indicators of climate change and are a major source of variations in sea level. A large piece of compressed ice, or a glacier, appears blue, as large quantities of water appear blue. This is because water molecules absorb other colors more efficiently than blue. The other reason for the blue color of glaciers is the lack of air bubbles. Air bubbles, which give a white color to ice, are squeezed out by pressure increasing the density of the created ice. Jeffrey Preston Bezos (; born Jeffrey Preston Jorgensen; January 12, 1964) is an American technology entrepreneur, investor, and philanthropist. He is the founder, chairman, CEO, and president of Amazon. John Forbes Nash Jr. (June 13, 1928 – May 23, 2015) was an American mathematician who made fundamental contributions to game theory, differential geometry, and the study of partial differential equations. Nash's work has provided insight into the factors that govern chance and decision-making inside complex systems found in everyday life. His theories are widely used in economics. Serving as a Senior Research Mathematician at Princeton University during the later part of his life, he shared the 1994 Nobel Memorial Prize in Economic Sciences with game theorists Reinhard Selten and John Harsanyi. In 2015, he also shared the Abel Prize with Louis Nirenberg for his work on nonlinear partial differential equations. In 1959, Nash began showing clear signs of mental illness, and spent several years at psychiatric hospitals being treated for paranoid schizophrenia. After 1970, his condition slowly improved, allowing him to return to academic work by the mid-1980s. His struggles with his illness and his recovery became the basis for Sylvia Nasar's biography, A Beautiful Mind, as well as a film of the same name starring Russell Crowe as Nash.On May 23, 2015, Nash and his wife Alicia were killed in a car crash while riding in a taxi on the New Jersey Turnpike. He is survived by his two sons, John Charles Martin Nash and John Stier. Lakshmi Niwas Mittal (pronunciation ; born 15 June 1950) is an Indian steel magnate, based in the United Kingdom. He is the chairman and CEO of ArcelorMittal, the world's largest steelmaking company. Mittal owns 38% of ArcelorMittal and holds an 11% stake in Queens Park Rangers F.C.. In 2005, Forbes ranked Mittal as the third-richest person in the world and become first Indian to be ranked in top ten Forbes list. In 2007, Mittal was considered to be the richest Asian person in Europe. He was ranked the sixth-richest person in the world by Forbes in 2011, but dropped to 82nd place in March 2015. In spite of the drop, Forbes estimated that he still had a personal wealth of US$16 billion in October 2013. In 2017, Forbes ranked him as the 56th-richest person in the world with a net worth of US$20.4 billion. He is also the "57th-most powerful person" of the 72 individuals named in Forbes' "Most Powerful People" list for 2015. His daughter Vanisha Mittal's wedding was the second-most expensive in recorded history.Mittal has been a member of the board of directors of Goldman Sachs since 2008. He sits on the World Steel Association's executive committee, and is a member of the Global CEO Council of the Chinese People's Association for Friendship with Foreign Countries, the Foreign Investment Council in Kazakhstan,, the World Economic Forum's International Business Council, and the European Round Table of Industrialists.He is also a member of the board of trustees of the Cleveland Clinic.In 2005 The Sunday Times named him "Business Person of 2006", the Financial Times named him "Person of the Year", and Time magazine named him "International Newsmaker of the Year 2006". In 2007, Time magazine included him in their "Time 100" list. Michelle Renee Forbes Guajardo (born January 8, 1965) is an American actress who has appeared on television and in independent films. Forbes first gained attention for her dual role in daytime soap opera Guiding Light, for which she received a Daytime Emmy Award nomination. She is also a Saturn Award winner with three nominations. Forbes is known for her recurring appearances on genre and drama shows such as Ensign Ro Laren in Star Trek: The Next Generation and her regular role as medical examiner Julianna Cox on Homicide: Life on the Street during the 1990s, while building her career with recurring roles throughout the 2000s in Battlestar Galactica, 24, In Treatment, Durham County, Prison Break and her series regular role as Maryann Forrester on True Blood. She has appeared in significant roles in movies such as Escape from L.A., Kalifornia and Swimming with Sharks. She starred in the 2011–2012 AMC television series The Killing, for which she received a Primetime Emmy Award nomination. Mukesh Dhirubhai Ambani (born 19 April 1957) is an Indian business magnate, the chairman, managing director, and the largest shareholder of Reliance Industries Limited (RIL), a Fortune Global 500 company and India's most valuable company by its market value. According to the Forbes magazine, he is the richest Asian and the 13th richest person in the world as of March 2019.Mukesh was born in Aden, Yemen and brought up in Mumbai, India. He received his degree in Chemical Engineering from the Institute of Chemical Technology in the early 1970s. Mukesh started working alongside his father Dhirubhai Ambani in their family business, Reliance, since 1981. Reliance Industries Limited deals mainly in refining, petrochemicals, and in the oil and gas sectors. Reliance Retail Ltd., another subsidiary, is the largest retailer in India. The business has expanded over the years to provide products and services like Retail Markets and Telecommunications. Reliance’s Jio has earned a top-five spot in the country’s telecommunication services since its public launch on 5 September 2016. As of 2016, Ambani was ranked 38 and has consistently held the title of being India's richest person on the Forbes magazine's list for the past ten years. He is the only Indian businessman on Forbes' list of the world's most powerful people. As of January 2018, Mukesh Ambani was ranked by Forbes as the 18th-wealthiest person in the world. He surpassed Jack Ma, executive chairman of Alibaba Group, to become Asia's richest person with a net worth of $44.3 billion in July 2018. He is also the wealthiest person in the world outside North America and Europe. As of 2015, Ambani ranked fifth among India's philanthropists, according to China’s Hurun Research Institute. He was appointed as a Director of Bank of America and became the first non American to be on its board.Through Reliance, he also owns the Indian Premier League franchise Mumbai Indians and is the founder of Indian Super League, a football league in India. In 2012, Forbes named him one of the richest sports owners in the world. He resides at the Antilia Building, one of the world's most expensive private residences with its value reaching $1 billion. Sport industry is a market in which people, activities, business, and organizations involved in producing, facilitating, promoting, or organizing any activity, experience, or business enterprise focused on sports. It is the market in which the businesses or products offered to its buyers are sports related and may be goods, services, people, places, or ideas. Malcolm Stevenson "Steve" Forbes Jr. (; born July 18, 1947) is an American publishing executive, who was twice a candidate for the nomination of the Republican Party for President of the United States. Forbes is the Editor-in-Chief of Forbes, a business magazine. Forbes was a Republican candidate in the 1996 and 2000 Presidential primaries. Forbes is the son of longtime Forbes publisher Malcolm Forbes, and the grandson of that publication's founder, B.C. Forbes. The World's Billionaires is an annual ranking by documented net worth of the world's wealthiest billionaires compiled and published in March annually by the American business magazine Forbes. The list was first published in March 1987. The total net worth of each individual on the list is estimated and is cited in United States dollars, based on their documented assets and accounting for debt. Royalty and dictators whose wealth comes from their positions are excluded from these lists. This ranking is an index of the wealthiest documented individuals, excluding and ranking against those with wealth that is not able to be completely ascertained.In 2018, there was a record of 2,208 people on the list, that included 259 newcomers mostly from China and the U.S.; there were 63 people under 40 and it had a record number of 256 women. The average net worth of the list came in at US$4.1 billion, up US$350 million from 2017. Added together, the total net worth for 2018's billionaires was US$9.1 trillion, up from US$7.67 trillion in 2017. As of 2018, Microsoft founder Bill Gates had topped the list 18 of the past 24 years, while Amazon founder Jeff Bezos is ranked at the top for the first time and he became the first centibillionaire included in the ranking. Additionally, Mark Zuckerberg is currently the only person in the top 10 billionaires list who is under the age of 50, and the only one in the top 20 billionaires list who is under the age of 40.In 2017, 500 of the richest people in the world became richer by $1 trillion, according to a report by Bloomberg News. According to a 2017 Oxfam report, the top eight billionaires own as much combined wealth as "the poorest half of the human race". Topeka Regional Airport (IATA: FOE, ICAO: KFOE, FAA LID: FOE), formerly known as Forbes Field, is a public airport owned by the Metropolitan Topeka Airport Authority in Shawnee County, Kansas, seven miles south of downtown Topeka, the capital city of Kansas. The National Plan of Integrated Airport Systems for 2011–2015 called it a general aviation airport. United Express scheduled airline flights on January 7, 2014, two daily regional jets to Chicago's O'Hare International Airport, but ceased on September 2, 2014. Allegiant Air scheduled jets nonstop to Las Vegas, but discontinued service on July 30, 2007.The airport was served by the original Midway Airlines which in 1983 had two Douglas DC-9-10s a day nonstop to Kansas City and one-stop to Chicago Midway Airport. In 1977 the original Frontier Airlines flew Boeing 737s nonstop to Denver, Kansas City and St. Louis; it also had Convair 580 flights.Topeka Regional Airport is used by the University of Kansas (KU) for charter flights for its athletic teams and by schools visiting the KU campus in Lawrence, which is 34 miles (55 km) east of the airport via the Kansas Turnpike. (Kansas City International Airport is 51 miles (82 km) from KU).